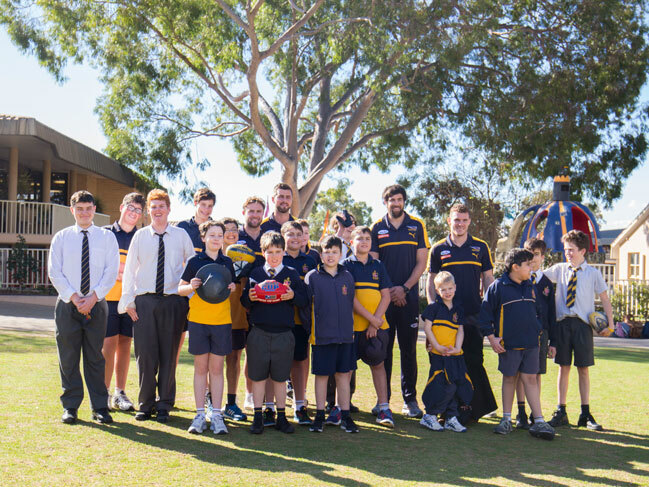 Junior and Senior boys from the Peter Moyes Centre (PMC) were flying high last week following a visit by star West Coast Eagles players Josh Kennedy, Luke Shuey, Fraser McInness and Mark Hutchings. 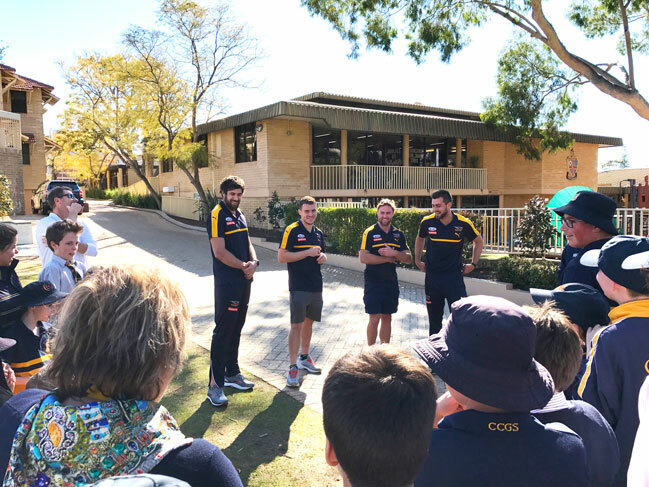 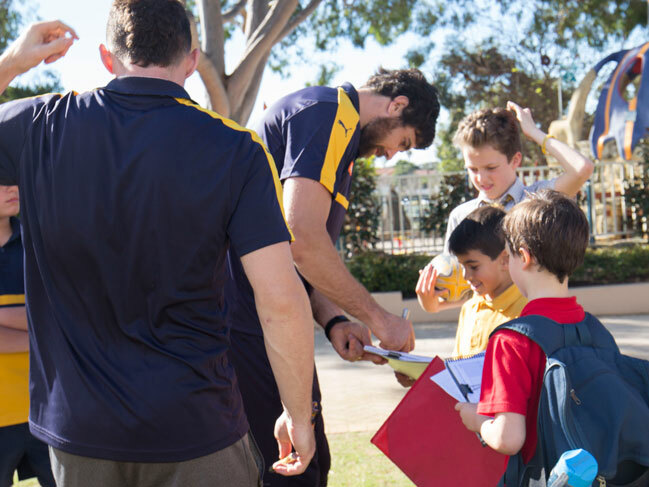 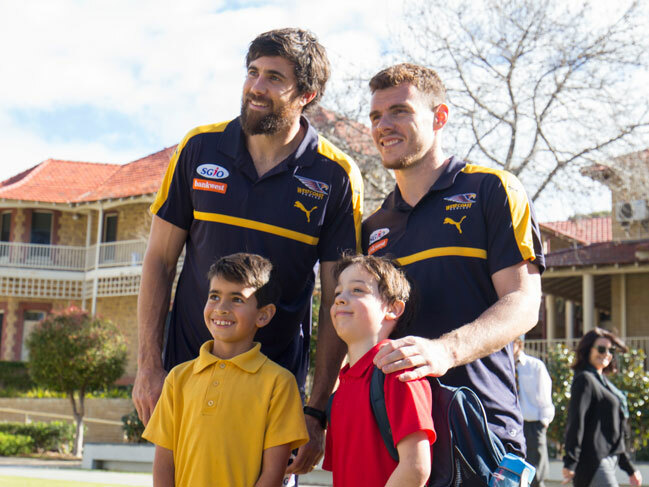 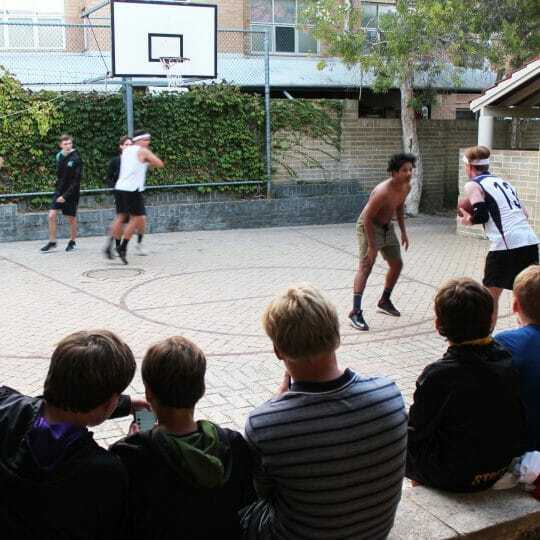 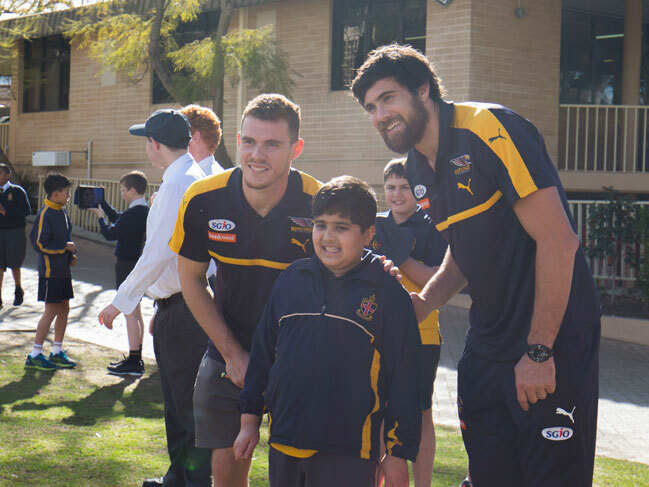 The visit was part of the West Coast Eagles community development program which involves their players meeting with students at various schools around Perth. 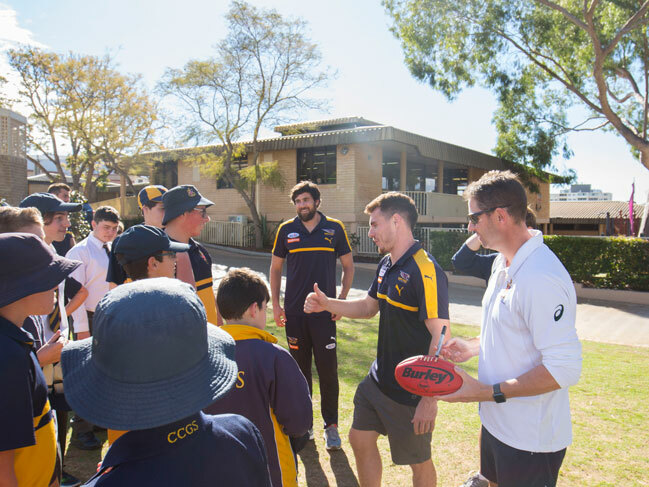 Australian rules football continues to be popular amongst today’s younger generation, making it a valuable tool in engaging with students and achieving positive educational outcomes through sport. 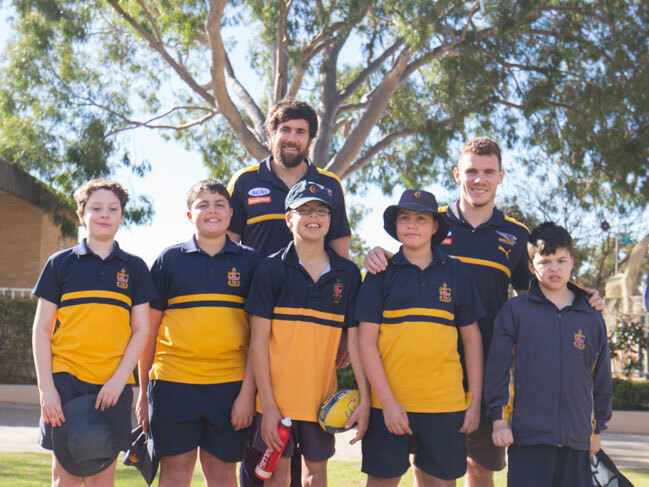 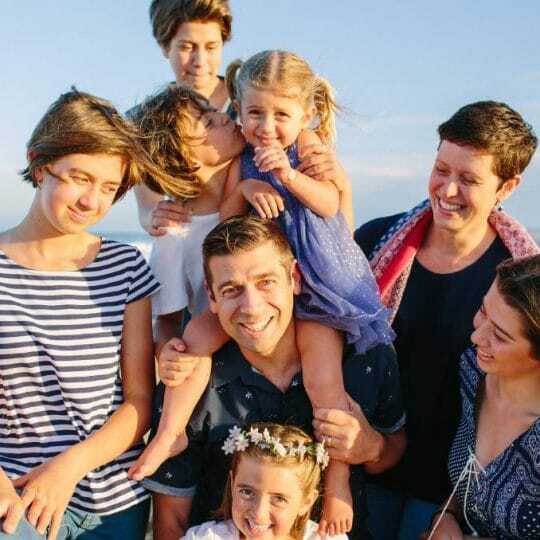 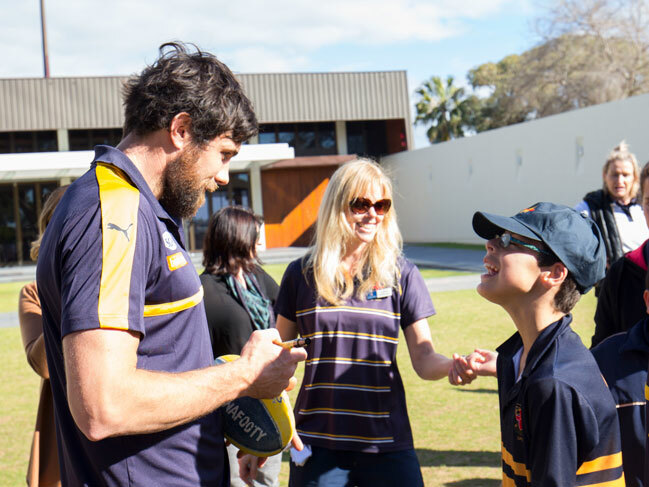 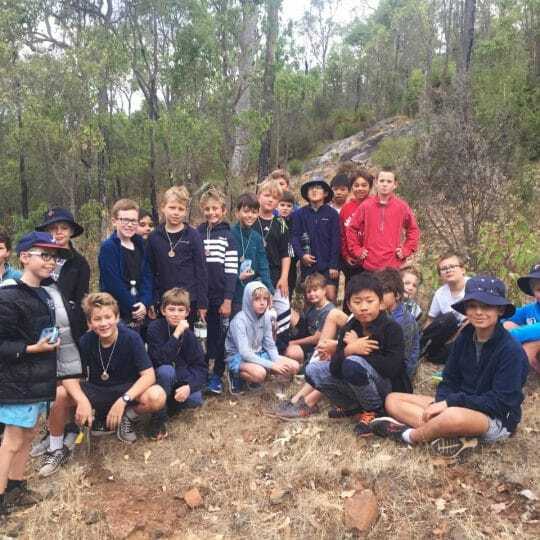 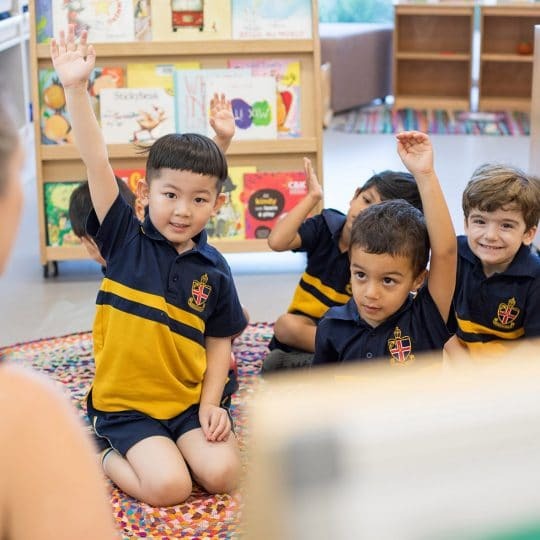 The West Coast Eagles have been actively supporting the WA community since the club’s inception in 1986 and support a number of educational programs which seek to encourage participation at school and promote important life messages.